Someone in the United States develops dementia every 66 seconds, according to the Alzheimer’s Association 2016 “Facts and Figures”. The diagnosis is devastating for those who have the disease and also imposes a crushing burden on their families. The decision regarding the best way to care for a loved one with dementia is dependent on many factors, particularly the stage of the illness and of course the family’s ability to provide the necessary care. 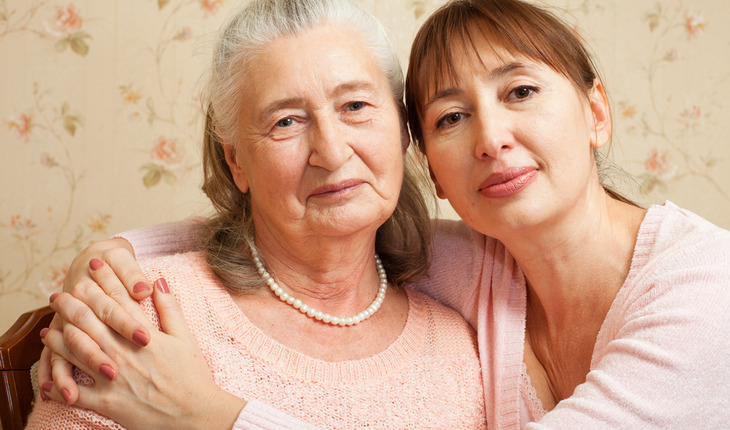 Sometimes becoming a caregiver occurs without a conscious decision. In the early stages of dementia, living at home and even living independently are not only possible but desirable in maintaining the patient’s sense of self and family members – usually a spouse and/or children – are able to provide the necessary care with minimal disruption to their lives. But the cognitive decline associated with Alzheimer’s and other forms of dementia is virtually always progressive and family members have to come to terms with how their roles and relationships will change over time. In the first stages of caregiving, the primary requirement is for basic information: What are the current needs for feeding and hygiene? Medication? Legal and financial matters? What is the best way to communicate? To deal with behavioral issues? How will the disease progress? The patient’s primary care physician can provide a great deal of information and can steer the family toward community resources for help with issues such as transportation, home-delivered meals, and local daycare programs. When routines have been established for everyday care, attention must be focused on how to ensure the best possible quality of life for the patient, the family, and especially for the primary caregiver. Here are some tips that will help the patient and prevent caregiving responsibilities from becoming overwhelming. Don’t go it alone! Caring for a loved one with dementia is often a 24/7 job with constantly changing (and increasing) responsibilities and primary caregivers are at risk for depression and declining health themselves. Say “yes” to offers of help, even for small things like running errands or providing a meal. Make arrangements for getting a break – whether it’s just to get away for a few hours or for a short vacation. Accept help from family members or contact community agencies that can make recommendations for respite care. Keep the patient active, to the extent that it is physically possible. Go for a walk. Enjoy the sunshine, the sounds of birds singing and children playing. Physical activity can decrease anxiety and boredom and can improve sleep. Walking and gentle exercise will also strengthen the leg muscles and help prevent falls. Help your loved one make connections: As dementia progresses, the patient increasingly loses a sense of self and of his or her place in the world. But while short-term memory often declines in the early stages of dementia, memories of long ago may be intact and accessible. One way to foster connections is to revive those memories: Look through family photo albums, play or sing old songs, read a favorite book out loud, watch an old movie. Foster a connection with animals: Studies have shown that animals have an instinctive ability to help us heal and that a connection with animals can help reduce stress, improve confidence, and enhance overall well-being for those affected by early-stage dementia. Arrange a visit with a cat or dog or look into a structured workshop that supports non-riding interaction with horses. Providing care for someone with dementia takes a tremendous toll on the physical and emotional health of the primary caregiver. Caregivers must take care of themselves as well as caring for their loved one. And with the dramatic growth of the elder population and the associated growth in the number of people with dementia, we must go beyond medicine to find ways to enhance the quality of life for patients and caregivers.